On the 6th October 2018, several members of the department, current and former PhD students, and a handful of MA Classical Studies students attended a conference hosted by the Roman Society at Senate House in London. The theme for the day was Sensory Experience in Rome’s Northern Provinces and here, fresh from submitting their dissertations for A864, OU Classical Studies MA students Colin Gough and Kirstie Morey share their multisensory impressions of the day. The one question that unites students, academics and anyone interested in Classical Studies is ‘what was it like in classical times?’ At the Senate House conference last Saturday we had the opportunity to experience some of the sensations of a Roman. What does the Roman ketchup that is garum, made from putrefying fish, smell like? To this modern, westernised nose – not pleasant, and it would have taken real courage to use it as an edible additive. Yet it was so popular in Roman times that there was mass production. Did Roman men wear perfume? Thomas Derrick (Leicester) not only gave a presentation on the multisensory approach to the impact of Roman settlements in the north but, during lunch demonstrated his (real) passion for Roman scents and perfumes. There is nothing like pouring olive oils with rosemary and pepper, scaping off the excess with a strigil to get the authentic Roman post-bathing experience, even though I spent the rest of the afternoon smelling like focaccia. Patty Baker (Kent) not only gave an interesting presentation on archaeological data to explore retrieving indigenous conceptions of flora but introduced the concept of experimental archaeology in recreating floral crowns from mosaic images in Britannia. These were passed around to give the sensory feel of manufacture and wearing resulting in some new profile pictures on social media. We were treated to a fabulous talk by the author Caroline Lawrence who, with a range of ‘props’ not only gave an insight into how she uses the sensorium to develop her books but gave us a hands-on experience of some of the sights, sounds, smells and feels of the Roman world. This brings me onto an important point, the value to Classical Studies of experientialism, that is, personally experiencing a location, environment or object. Naturally, our experiences will not be the same as an individual or group in classical times but it does give an opportunity to consider sociological changes and responses and, indeed, help formulate questions to be addressed. But it goes further. It opened my understanding of the different applications of Classical Studies. This was underpinned by the excellent talk by Mike Bishop. Twitter users may know him as @perlineamvalli. He has walked the length of Hadrian’s Wall over fifteen times and has produced two-minute soundtracks at each milecastle prompting the discussion of how the soundscape has changed (Editor’s note: you can listen to them here!). 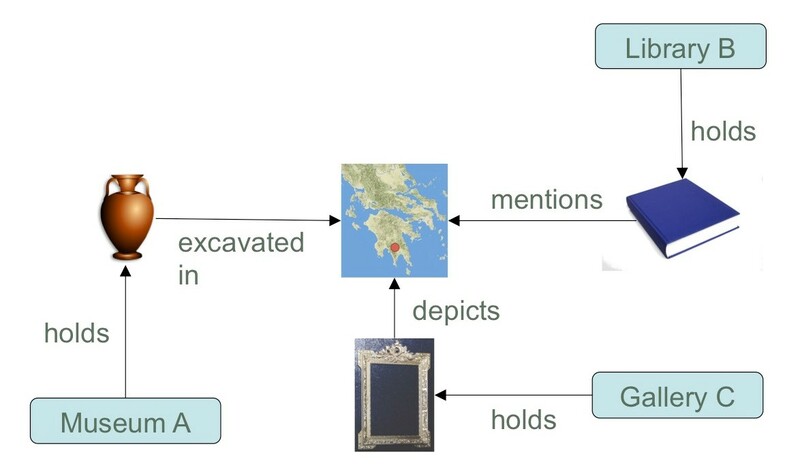 This approach not only focusses the mind on the establishing a temporal frame but allows reconstruction of a likely soundscape in Roman times. Nicky Garland (Newcastle) suggested physiological responses not available from empirical evidence that can be gained by a personally experienced, multisensory approach to the partially re-constructed Commanding Officers House at South Shields. Sophie Jackson (MOLA) gave an interesting presentation on the modern history of the Bloomberg Mithraeum and how consultants, design teams and scholars approached interpreting the archaeology to translate the atmosphere and ritual into a sensory experience for the 21st Century audience. Unfortunately, because of space constraints, I have not named all the presenters or the subjects tackled (for more see Caroline’s own blog). However, to finish, I have two abiding memories. The enthusiasm of all who presented and the generosity they have in sharing their experience and knowledge. Using our imagination, new methodologies can be developed giving a greater insight into the past and engaging students of the future and the wider public. It has never been a better time to study classical times and sensory studies can be at the centre of all disciplines. Along with OU postgrad and WiP days, I think everyone should experience conferences – if nothing else it makes you appreciate how good we all are and how approachable and helpful other people can be. As an A864 OU Master’s student, October 1st was a significant date for me. The culmination of two years of hard work and my dissertation was finally submitted. But I had mixed feelings: I was extremely proud of both what I had written, and of how far I had come. I was incredibly relieved to know that it was in and that I had managed to finish it on time and within word limits. But, I was also very sad. Studying for my Masters had been such a journey and had become such a big part of my life, I simply didn’t want it to end. So, I booked myself onto a Roman Society workshop that I’d had my eye on since reading about it on Twitter, and on Saturday last, ventured to the Senate House for the Sensory Experience in Rome’s Northern Provinces workshop. I was nervous at first as I didn’t think I’d know anybody and I wasn’t sure how ‘interactive’ I would be expected to be at a workshop. 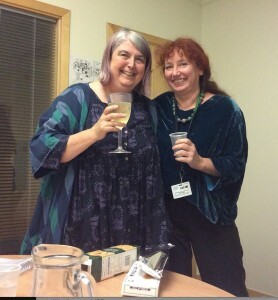 But, a couple of familiar faces appeared in the room and we were off. It was great. Having been introduced to the idea of sensory studies in A864, the concepts were easy enough to follow. And the speakers were very engaging and interesting. Some papers were quite theoretical, like Thomas Derrick (Leicester) and Andrew Gardner (UCL); and some were very much more practical. We wore, felt and smelled our way through various coronas, courtesy of Patty Baker (Kent) and heard our way through the milecastles along Hadrian’s Wall, thanks to Mike Bishop. We oiled and ‘strigilled’ ourselves during lunch with ‘authentic’ Roman perfumes and we chewed on mastic chewing gum. The highlights for me were Stuart McKie’s (Durham) talk on curse tablets and the connection between them and votive offerings and author Caroline Lawrence’s explanation of how she tries to evoke every sensual experience for the readers of her Roman Mysteries series of children’s books. I wish she had been available for my kids’ birthday parties – she was brilliant! 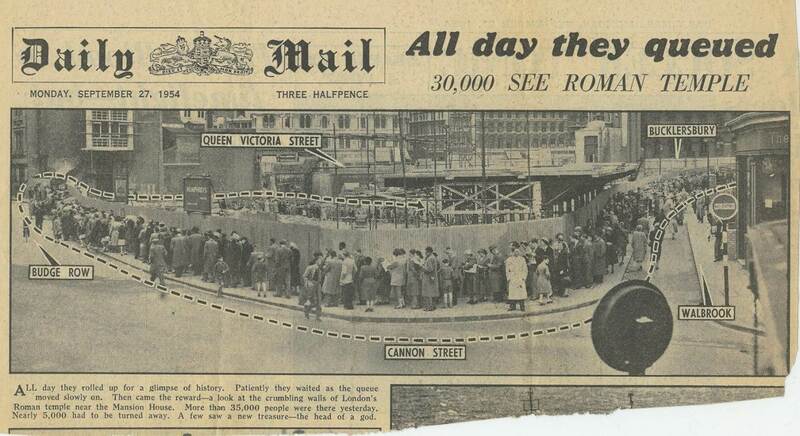 While Sophie Jackson from MOLA was talking about the history of the London Mithraeum, she showed us a newspaper photograph showing the thousands of people who queued daily in the 1950s to see the original ruins. A lady in the audience shared with us her memories of being in that queue and how it inspired her to become an archaeologist. That was the icing on the cake. I am told that this conference may not have been typical and that others aren’t usually so ‘touchy feely’ but, while that may have been the case, the fact that the theme was so interesting, and the speakers were so engaging was secondary to my enjoyment of just being there. It made me realise that my academic journey is not over and that there is plenty more to be involved with, to listen to and, maybe even one day, to contribute to. This entry was posted in Conferences, MA, Reviews on October 15, 2018 by Emma-Jayne Graham. The Landscape Garden: Britain’s Greatest Eighteenth-century Export? OU PhD student John Harrison reports on a conference held at the British School at Rome, Tuesday, 6th March 2018. Last year I had the pleasure of attending the Hortus Inclusus meeting at the British School at Rome (BSR). It was two fascinating days and featured a diverse and talented international cast of speakers. The ancient Roman content was for me particularly interesting and it sparked the thought that a meeting on the topic of the Eighteenth-century English Landscape garden, so heavily influenced by ancient Rome, would be a worthy follow-up event. Last Tuesday (6th March) that idea came to fruition in the form of a one-day meeting at the BSR titled ‘The Landscape Garden: Britain’s Greatest Eighteenth-century Export?’. I have previously commented on my good fortune in acquiring speakers for past meetings and I was delighted that we managed to secure an outstanding group of individuals to speak at this event, including the excellent Professor Diana Spencer to lead a discussion on the central conceit of the day – was the Landscape Garden indeed Britain’s greatest eighteenth-century export? More on this issue later. A week of bad weather in Italy and further afield presented travel challenges for delegates and speakers alike. In the hours before the meeting there was a flurry of ‘I might be a bit late’ text and email messages, but by mid-morning we had a growing audience and speakers ready to deliver. First-up, to set the scene, was the excellent Dr Laura Mayer who had kindly acceded to my request to deliver in slightly less than one-hour a keynote lecture on the English landscape garden from William Kent to Humphrey Repton, via Capability Brown. Laura delivered the perfect scene setter with “‘Original & Indisputably English’: The Landscape Gardens of the Eighteenth Century”, no mean feat given the unenviable task she had agreed to. With the scene so beautifully set I had the easiest task of the day with the presentation of my PhD research on the eighteenth-century landscape garden at Stourhead. This was the first outing for my critical review of authorial intention theories of Stourhead and my shift to focus on visitor reception. I was a little anxious at the reception of my ideas and research findings, so chose an understated title for my presentation: ‘Roman influences on Georgian Stourhead’. A robust question and answer session followed the presentation, which was very useful preparation for my forthcoming PhD viva. Our final speaker before lunch was Dr Clare Hornsby who presented her recent research on the topic of ‘Gardens at La Trappe: neo-classical display in the London suburbs’. Clare explained that this is ‘work-in-progress’, but it was clear from the content of her fabulous presentation that she has already achieved a good deal. The building she has painstakingly researched and described sounded truly magnificent and the account she gave of her research was so vivid it was almost like being in the various archives with her. We commenced the post-lunch session with a consideration of art and literature’s impact on the English landscape garden. We were honoured to have well-known expert Michael Liversidge take us through a broad sweep of the influence of painting in his ‘Painting and Planting: art, aesthetics and landscaping in Georgian England’ presentation. Michael skilfully covered the better-known links between gardens and fine art, but very helpfully revealed what for me were a number of new links and perspectives. Our final speaker was Dr Paul Gwynne, who is Professor of Medieval and Renaissance Studies, at the American University of Rome. This was another presentation I was very keen to hear, having had my appetite whetted by Luke Roman’s presentation at the Hortus Inclusus event. Paul’s ‘The Italian Renaissance Villa and Garden: an overlooked source. Some observations and suggestions’, is also work-in-progress, but was hugely informative and thought provoking. It inspired me to revisit the topographical poets I read as part of my Stourhead research. A day of informed and thorough lectures led us neatly into the panel discussion. I think we came to this mindful that the landscape garden had considerable competition for the title greatest 18th-century export. Nevertheless, given that by the end of the 18th-century ‘English gardens’ could be found in Sweden 🇸🇪, Germany 🇩🇪, Poland 🇵🇱, Russia 🇷🇺, and even France 🇫🇷, and Italy 🇮🇹, it was certainly amongst the most important artistic exports. With this weighty issue partially dealt with we retired to the reception area of the BSR for further reflection over drinks and snacks. In closing I’d like to thank the speakers for their wonderful presentations and the delegates for their keenness to participate. The success of the day owes so much to the BSR staff who gave so generously of their time. I would particularly like to thank Tom True, Alice Marsh and Christine Martin whose advice, support and participation helped make the day such a joy. This entry was posted in Conferences, PhD and tagged classical reception, eighteenth-century, gardens, myth, Rome on March 19, 2018 by Jessica Hughes. 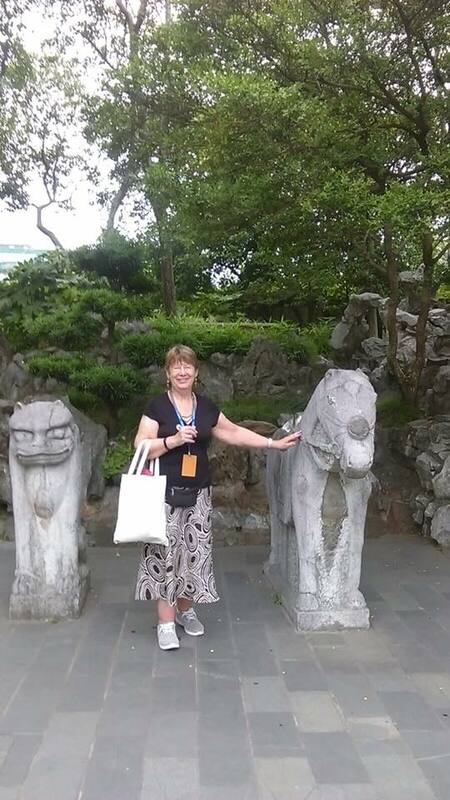 Our recently-retired colleague Paula James has just returned from an exciting international conference in China. 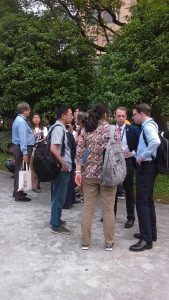 Globalizing Ovid: An International Conference in Commemoration of the Bimillennium of Ovid’s Death took place at Shanghai Normal university from May 31st to June 2nd 2017. Paula writes “This event attracted 60 scholars from across the world and was a wonderful and historic experience superbly organised by Professor Jinyu Liu – she is at Shanghai Normal and De Pauw university and her team of students were tireless and cheerful, picking us up from the airport, translating for us, guiding us around the campus and always ready to help. “You can see details and the programme on the Globalizing Ovid website, but just to say that this was a high point in international collaborative research as the conference was supported by Dickinson College USA, Shanghai Normal University and the National Social Science Fund of China. It is part of a US/China project to translate (with commentaries) all the works of Ovid, a Latin poet famous especially for his epic poem on myths of Greece and Rome, Metamorphoses, into Chinese. “It marked the 2000 years since Ovid died in exile and there were all kinds of discussions on his sophisticated and mischievous takes on traditional stories, his tongue-in-cheek love poetry and his manual of seduction (Ars Amatoria) so at odds with the moral re-armament programme started by the first emperor Augustus. All this in the context of the digital age and how it helps us work across geographical boundaries on the ancient authors who continue to excite us in the 21st century. “Ovid has played a central role in the lasting legacy of Roman culture and literature in the world today. You can read the abstract of Paula’s paper on Statues, Synths and Simulacra below. All the photos on this page were taken by Paula during the conference – it looks to have been a wonderful celebration of Ovid and Ovidian scholarship! Statues, Synths and Simulacra: Teaching Ovid through the medium of mass culture. Taking two examples of Ovid’s myths of metamorphosis as refracted on screen (film and television) I shall explore the challenges classicists face in communicating ancient texts to modern audiences. Although the use of film in teaching Classical Reception can be supported and promoted (but sometimes only tolerated in UK departments) the reception researcher frequently finds her/ himself justifying their choices of 20th and 21st century re-workings of mythical motifs by movie directors and television series creators as intellectually valid objects of study. 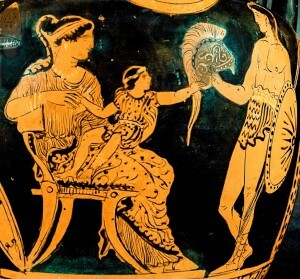 This paper traces my research and teaching journey in bringing Ovid’s myths of Pygmalion (Metamorphoses Book 10) and Salmacis and Hermaphroditus (Book 4) before public audiences and scholars across the Arts and Humanities. The story of sculptor and statue has endless potential for teasing out the ethics and aesthetics of manufacturing or making over women into an ideal both in the ancient and present day contexts. 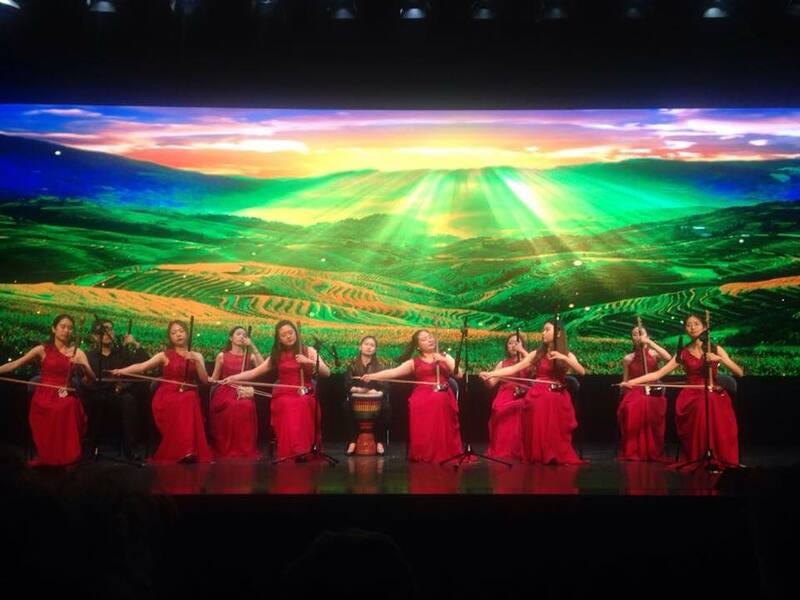 I shall point to the pitfalls of visualising Ovid primarily in terms of cinematic experiences when his own readership would be accessing their moving images from stage and performance. Ovid’s sophisticated and mischievous use of figurative language can only be touched upon in a brief paper but his similes, metaphors and general ecphrastic strategies can be both limiting and liberating for those of us researching into Ovidian narratives on screen. 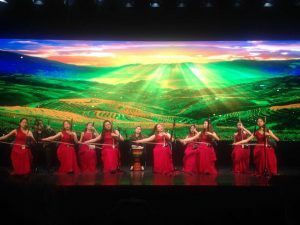 This entry was posted in Conferences and tagged China, classical reception, film, Ovid on June 5, 2017 by Jessica Hughes. 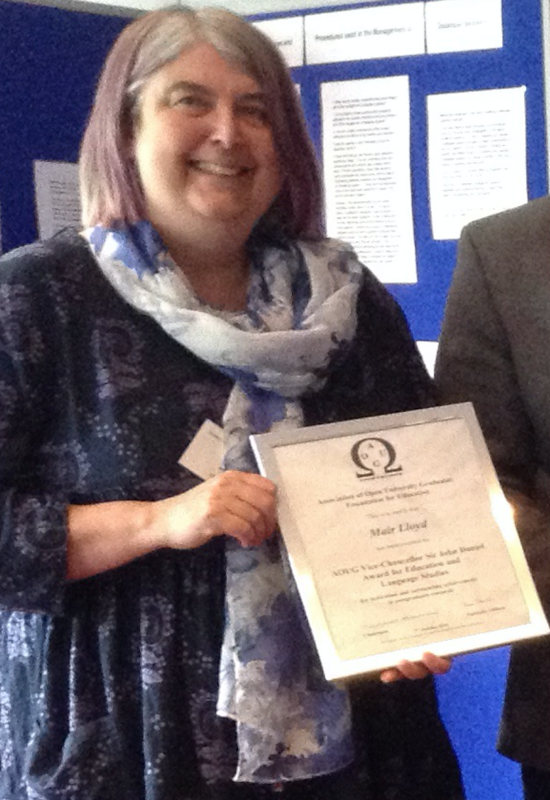 OU PhD student Sian Beavers reflects on this year’s Classical Studies postgraduate Work in Progress event which was held in Milton Keynes on 10th May 2017. After hanging up my organiser’s hat from the OU Classical Studies postgraduate work in progress conference, I’m left with a sense of wonderment over the nature of the day for a few reasons, and I’m pleased to be able to share these with you. The themes for the day’s panels – Greek Writers; Digital Tools for Classicists; Linked Data; and Receptions of the Ancient World – really allowed for presenters to build upon and towards other presentations in each panel. PhD students Elizabeth Webb and Sophie Raudnitz kicked off the day with their presentations on sensory perception in Thucydides and ‘the future’ in Plato respectively, and did a brilliant job of setting the tone for the event – as well as setting the presentation- bar high. The idea of this thematic building upon and towards presentations couldn’t have been more evident than with Valeria Vitale’s presentation on linking data with Pelagios, followed by Sarah Middle and Paula Granados-Garcia’s presentations on the use of Linked Data in the Humanities, with a live-demo by Valeria (a Research Fellow at the Institute of Classical Studies in London but who kindly accepted our invitation to share her work with us) of the remarkable Pelagios tool. For those, like some of our delegates (and oft times, me) that might find terms such as “data” a little intimidating on occasion, these three presentations did a fantastic job of opening our eyes to the benefits of these approaches to Classical Studies as a discipline, as well as personally inspiring us to potentially use such tools in the future in our own work. Similarly, with our final session on Receptions of the ancient world, with presentations from OU MA students Simon McLaughlin and Madeline Chawner, as well as my own presentation (a project on the side of my PhD research), we found that the themes relating to the epics, and indeed hero narratives, kept reoccurring with reference to different contexts and from differing viewpoints. It was almost as if the presenters, and one would hope the attendees, were seeing “linked data IRL” in the final session. The standard of the presentations was so high that I wonder how we can make more of this at future WiP events. Unlike other universities, so many OU students are geographically spread, making attendance in person problematic for a myriad of reasons. OU Lecturer Jess Hughes’ brilliant session in the ‘Digital Tools for Classicists’ panel, on the different ways in which social media and digital technologies can be used to bring people with shared interests together, to promote collaboration, and also to share and disseminate findings, really got me thinking about how we can use the technology we have to further bring classicists together. On the one hand, a focal point of the WiP day is to provide an informal context for students to present and get feedback on their work, and not to give them the extra pressure of presenting to an unknown audience. On the other hand, however, I’d really like to see the next WiP day being live-streamed or recorded for later sharing (with the permission of the presenters, of course). This would offer access to the talks to OU students who can’t attend in person; it would also provide speakers with a wider audience to disseminate their research; and it would help to share with the wider world the range of research taking place within OU Classical Studies. Reading the bios of the presenters also got me thinking about how people come – or return – to Classical Studies. Some start off in Classical Studies before returning later in life, sometimes having picked up other disciplines or professional experience along the way; others come from somewhere else (professional or academic), and find the subject through an indirect route. Some start and end with Classical Studies, though integrate differing perspectives and disciplines into their practice as classicists. Through reading the backgrounds of just the presenters at the event, I realised that we bring both our academic and life experiences into our research areas; precisely one of the reasons that events like these are so valuable. They make it clear that there is such diversity in the subject and this is something that should be celebrated: there is no “right” approach to studying Classical Studies and the discipline is made stronger for it. Perhaps most of all, our presenters were overwhelmed by how engaged the audience were with the presentations and research topics. The feedback and questions from the delegates really highlighted for me that the WiP is not merely a vessel for content delivery, but a reciprocal process whereby both the presenters and the audience can discuss aspects of Classical Studies to the mutual benefit of both. The Open University is built upon the ideas of diversity, inclusivity and, of course, openness. These ideals were exemplified in both the presenters and the delegates at the WiP day, and also in the way that the event brought together students and staff from the OU and elsewhere to celebrate the discipline that we share. So let’s continue to celebrate the diversity and inclusivity of the discipline, and the innovation that the researchers within the field deliver. With this in mind, I leave you with these musings, but hope to see you – as a presenter or a delegate – at next year’s event! If you would like more of a sense of the day, have a look at the Storify of the tweets! This entry was posted in Conferences, MA, PhD and tagged digital humanities, linked data, postgraduate, research on May 16, 2017 by Emma Bridges. As the OU Classical Studies team gears up for the Classical Association annual conference (#CA2017), which we’re hosting jointly with the University of Kent from 26th-29th April 2017, this week we’re following up our earlier blogpost offering advice for conference speakers with some more of our top tips on how to get the most out of attending the UK’s biggest classically-themed academic conference. 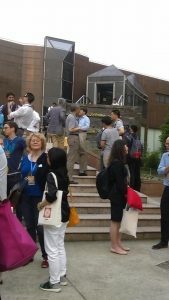 At a large conference like this, where there are usually several panel sessions taking place in parallel at any one time, it can be tricky to decide which ones to go to, so it’s a good idea to work out beforehand which papers you’d most like to hear. Eleanor Betts advises attendees to “read the programme and abstracts in advance, and decide which you’d most like to go to; look up the people whose papers you’re interested in to see more about their research interests and publications, and make an attempt to talk to them at the conference.” A large-scale conference like this is a good opportunity to find out what’s going on across the whole field of Classics, so don’t feel that you should only go to the papers which relate closely to your own areas of research; dip in to other topics which look fun or interesting. That said, the CA conference is set up in such a way that there are some key conference themes which will be the focus of several panel sessions; you may find it beneficial to follow one of these strands throughout the conference. Sessions might not always take place in the same building on campus, so it’s also worth familiarising yourself with the campus map and factoring in the time it’ll take to get from one venue to another. If you’re feeling nervous about not knowing many people at the conference, then Jo has some good advice. 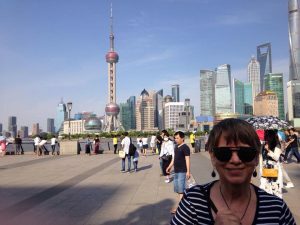 She notes that “even seasoned academics can feel cold stabs of terror at the thought of heading into a meal or a tea break when they don’t know anyone, and plucking up the courage to talk to new people doesn’t necessarily get easier. 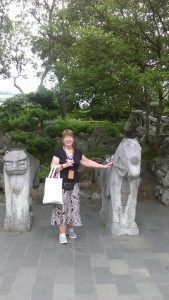 But it’s invariably worth it, and people will often be glad that you made the effort – they may be feeling nervous themselves.” To assuage some of your worries Jo suggests: “Make use of networks before you get to the conference. Twitter’s not for everyone (and livetweeting of papers can sometimes be as much of a hindrance to your focus on the paper as a help, so don’t feel obliged to get stuck into this kind of thing), but it can be a great way of ‘getting to know’ people before you meet in the flesh. Or ask around in your department: Are other PhDs going? Does your supervisor or colleague know of other people who’ll be in attendance who might be worth meeting? If your supervisor’s going to the conference, they can be a great way of getting introductions to people you might want to meet, so don’t feel afraid to ask if they can introduce you to professor x.” If you do use Twitter then check out the conversations happening under the hashtag #CA2017; and if you are keen to get involved in livetweeting then before you do I’d recommend taking a look at the advice given in this crowdsourced ‘livetweeting protocol’ put together by Dr. Liz Gloyn of Royal Holloway. Several members of the OU Classical Studies team will be at the conference next week – we’re looking forward to seeing you there! This entry was posted in Conferences on April 19, 2017 by Emma Bridges. 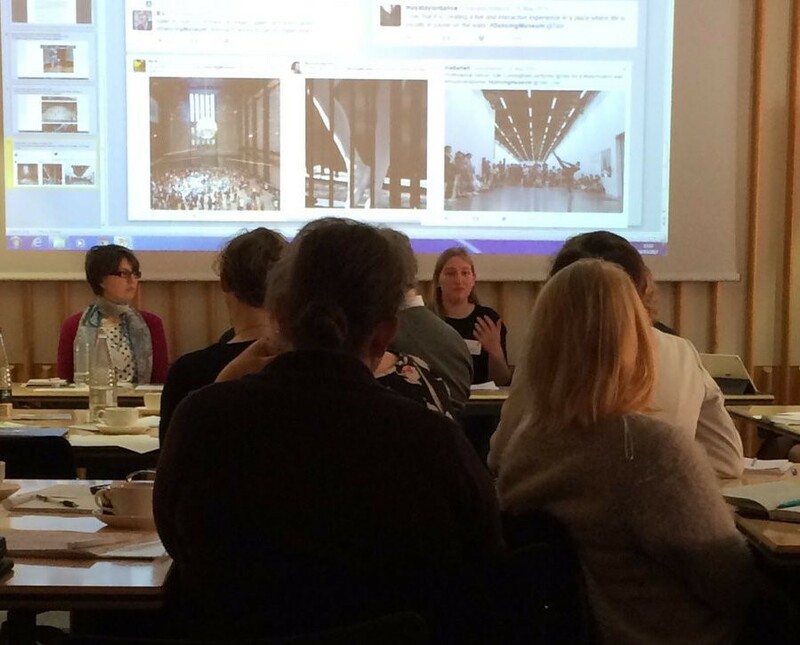 OU PhD student Sarah Middle reports on the Researching Born-Digital Archives workshop. 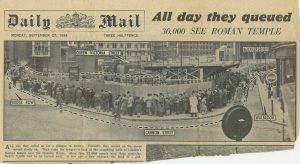 On Thursday 16 March 2017 I attended Researching Born-Digital Archives at the British Library, a collaborative workshop with three AHRC consortia – CHASE (who provide my PhD funding), South West and Wales, and WRoCAH. The focus of the day was on managing, curating and using collections of objects that had originated in a digital format (as opposed to digitisation of physical materials), and how the nature of these resources might lead to the study of new research topics. Several speakers from the British Library presented on the theme of managing the lifecycle of born-digital materials, from initial processing (Jonathan Pledge and Eleanor Dickens) through to long-term preservation (Maureen Pennock) and creative methods of reuse (Stella Wisdom). As a former collections professional, and current data enthusiast, particular points of interest for me included the processes involved in turning the files and directory structure of e.g. a floppy disk into an archive collection of digital objects, as well as the innovative ways in which people have reused the British Library’s publicly available datasets. One project that stood out for me was the Big Data History of Music, which used library catalogue data to visualise trends relating to music production over time, by geographical location, and in relation to historical events. Stella’s talk was very inspiring, and prompted me to consider whether I might be able to make use of the library’s data as part of my PhD research. Another theme from some of the talks was the impact of born-digital archives on the research and practice of creative writing, presented here from the point of view of an archivist (Justine Mann, University of East Anglia) and a writer (Craig Taylor). Justine spoke about collecting the ongoing work of emerging contemporary authors and preserving it in a born-digital archive, which will allow future researchers to gain an unprecedented insight into their creative processes. Craig is working with the British Library on his current project, Genesis, which involves writing his latest novel on a dedicated laptop with spyware installed. Every keystroke is recorded, documenting his creative process in minute detail. One particularly interesting question from the audience was whether authors are more self-conscious in the production of their digital materials, in the knowledge that they will be archived, and whether this has an effect on their content (e.g. wanting to present themselves in a certain way). It is not yet possible to answer this question fully; however Craig said that, while he usually forgets that the spyware is there, he becomes very aware of it at points where he is struggling. Perhaps this question might form the basis of a future research topic years from now. A particularly exciting aspect of the event for me was the opportunity to present my work as part of a student panel, with three other AHRC-funded PhD students. Helen Piel (British Library / University of Leeds) started by talking about her work with the different materials held in the British Library’s John Maynard Smith archive, containing the various works relating to his research interests in the areas of Engineering and Zoology. Kate Walker (University of Sheffield) then spoke about her research, which focuses on social media communities of wadaiko (Japanese drum) players, and involves collecting data from Facebook groups of which Kate herself is an active member. 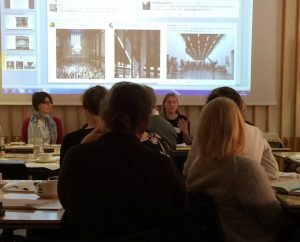 Acatia Finbow (Tate and University of Exeter) is studying documentation of performance art at Tate Modern, which similarly includes a large amount of social media content, but with more focus on image and video, rather than text. I gave a brief overview of my work converting the AHRC project data held in the Research Councils UK’s Gateway to Research (GTR) to Linked Data (of which more in a future post). My focus was on the differences in data structures between the existing GTR and the Linked Data, and how the Linked Data structure allows more complex queries, which will help me identify projects to use as case studies as part of my future research. I was quite nervous, as it was the first time I had presented on my PhD research, but my talk seemed to go well, and I received many positive comments afterwards. Several people said they had not heard of Linked Data previously, but understood my explanation, which indicates I had managed to pitch it at the right level – always an issue when explaining technical concepts to a non-specialist audience. As well as providing the experience of presenting my research in a friendly and supportive environment, I found this event an interesting and stimulating half-day. It provided me with a strong foundation of knowledge in the various stages involved in managing born-digital collections, as well as their potential for opening up new areas of academic research. In particular, I really enjoyed meeting academics, professionals, and other PhD students from all over the country, who are working in areas relating to digital collections. I would like to thank the British Library and the three AHRC consortia for organising the event and for making my attendance possible. This entry was posted in Conferences, People, PhD and tagged digital humanities; linked data; research; archives on April 4, 2017 by Emma Bridges. Classical Studies at the OU is delighted to announce the programme for our annual postgraduate work in progress event, to be held at the OU’s Walton Hall campus in Milton Keynes on Wednesday 10th May 2017. Registration for the event is now open. For further information or to reserve a place please contact Sian Beavers (sian.beavers@open.ac.uk) by Monday 1st May. This entry was posted in Conferences, MA, PhD and tagged postgraduate, research on April 3, 2017 by Emma Bridges. Classical Studies at the Open University is looking forward to co-hosting this year’s annual Classical Association (CA) conference, which will be held at the University of Kent’s Canterbury campus from 26th-29th April 2017. While we’re busily working behind the scenes to make sure that the event is a success, we’ve also been talking about how delegates can get the most out of their conference experience. For many speakers the CA will be their first experience of presenting their research at a large conference; this week’s blogpost shares some of our top tips on how to ensure it goes smoothly. – It’s always a good idea to have a ‘hook’. So, rather than simply starting with the bald statement of your research objective, lead in to your discussion with a catchy example. – As well as a hook, an introduction – particularly for an oral presentation – needs to take your audience through the steps of what you’re going to talk about. So, sketch out what you’re going to do, and why that’s important. – Keep references – or at least citations of references – to a minimum. I’d advise against reading out long chunks of text or citing page numbers of secondary scholarship in your oral presentation; these can be given on a handout as ‘further reading’ for your audience to refer to after the event (more on using handouts below). – Remember, you’ll have the Q&A session after your paper to go into more detail or introduce other material. It might even be worthwhile saying ‘I don’t have time to go into this now, but perhaps we can talk about it further in the discussion’. It’s always a good idea to plant the kinds of questions in your audience’s minds that you want to follow up. – Your paper will need a summing up to remind your audience what you’ve shown or the issues you’ve raised and/or the problems that need addressing. Have in mind to leave your audience with (no more than) three ‘take home’ messages. Papers at the CA are each 20 minutes long, followed by ten minutes for questions from the audience. Keeping to time is not only vital to ensure the smooth running of the panel sessions, which can be derailed if individual speakers overrun, but it’s also a matter of showing courtesy to your audience, panel chair and fellow speakers. A good chair will always do their best to keep things to time, but you can help them out by planning ahead to make sure that your paper isn’t over-length. Laura Swift recommends, “Check your timing, as it’s incredibly irritating for everyone when a speaker goes on beyond their allotted time – it can disrupt other speakers’ timings and the schedule of the whole conference, and makes you look self-centred, as though you think your ideas are more important than anything else going on. So give your paper several times at home beforehand, timing yourself with a stopwatch, and make sure you are comfortably in time, while speaking at a normal pace. Never think ‘oh well, I can just speak faster and get it all in’ – if you do, you’ll seem nervous and run the risk that people won’t be able to follow your argument. Try to make sure your paper comes in below the allotted time rather than just on it, as that takes any stress away on the day and removes any temptation to rush.” The speed at which individuals speak naturally does vary (which is why practice is so important!) but as a rule of thumb, Elton Barker suggests that around 2800 words is about right for a twenty-minute paper, given that you’ll also need to take into account the ‘live’ element (nerves, pausing to take a drink of water, looking up to make eye contact, articulating key ideas on the spot and so on). It’s a good idea to build in time for short pauses during your paper – this gives you, and your audience, time to think before you move on to the next point. If you think you’ll forget to do this on the day, mark suitable ‘pause points’ in the margins of your paper to remind yourself. Whilst it can be pretty daunting sharing your work with the wider world, you should take confidence from the knowledge that everyone in the room is starting from a point of common interest – they’re there because they read your title or abstract and as a result they want to know more about your work. Remember to breathe (! ), smile and make eye contact with your audience – by doing so you’ll communicate your enthusiasm for your research topic. Enjoy the opportunity to share your ideas with others, and good luck! For more information about this year’s CA conference, including a full programme, click on the ‘CA2017’ tab at the top of this page. Watch this space for another CA2017 blog post on getting the most out of attending the conference, especially if it’s your first time there. This entry was posted in Conferences and tagged #CA2017, Classical Association, research on March 13, 2017 by Emma Bridges. Earlier this month, to coincide with Remembrance Day, Classical Studies at the OU hosted a two-day international conference in London on the theme of ‘Married to the Military: Soldiers’ Families in the Ancient World and Beyond’. The idea of thinking about ways in which we might compare the experiences of soldiers’ families in the ancient Greek and Roman worlds with those of their post-classical counterparts was born several years ago when my own marriage to a serving member of the armed forces led me to reflect on the ‘military spouses’ of ancient myth (think of, for example, the Homeric Penelope as the waiting wife of the Odyssey, or Andromache as a war widow in the Iliad). 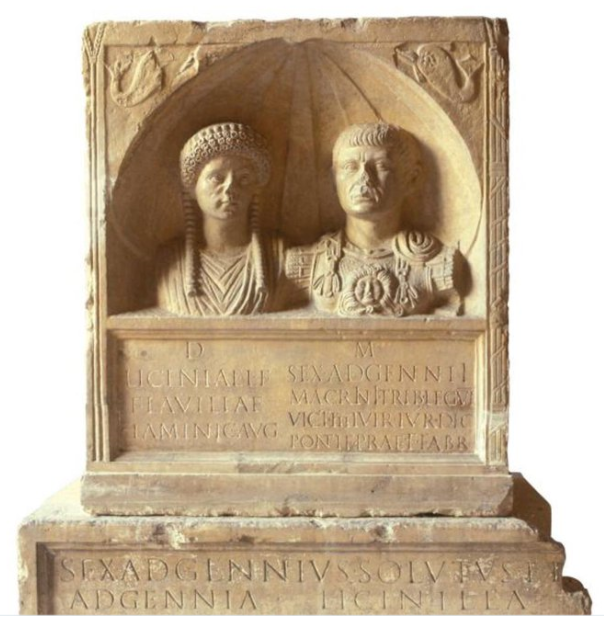 It was as a result of a conversation with my OU colleague Ursula Rothe, however, that the possibility of taking a broader view, in order to consider other areas of the classical world where we might explore the theme of military families, presented itself. While my own work tends to focus primarily on literary texts, and is grounded in the ancient Greek world, Ursula’s research looks at material culture, and has a decidedly Roman emphasis. By bringing together our complementary approaches to our discipline, and our expertise in different areas of the classical world, Ursula and I were able to put together a conference programme which drew on a cross-section of the range of sources, historical periods and geographical areas with which classicists work. For a flavour of what was discussed at the event, take a look at the conference programme and abstracts, and the Storify of livetweets (#OUMTTM) from across the two days. 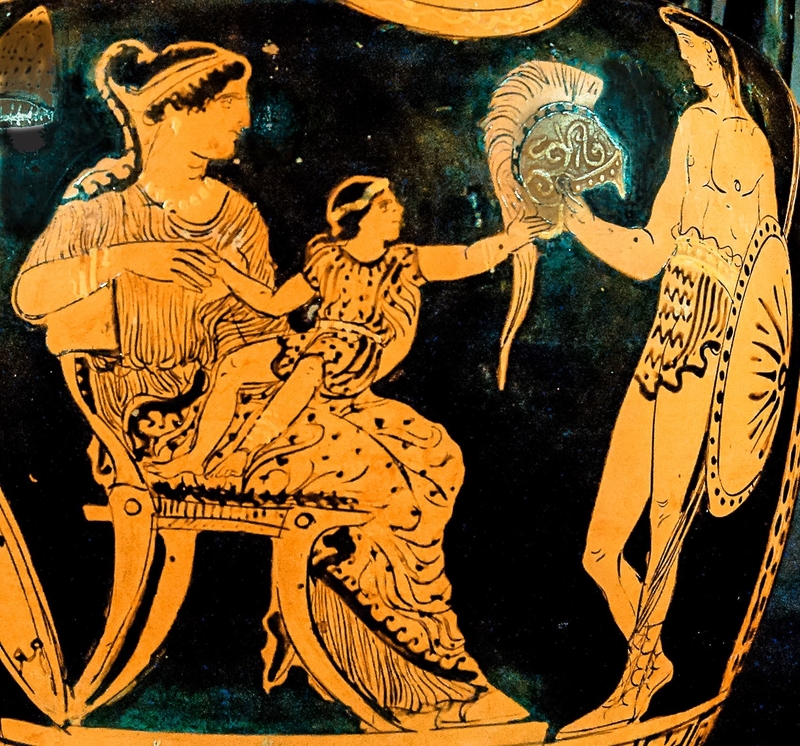 The conference took in ancient perspectives on military families drawn from a variety of different types of evidence, ranging from Greek epic poetry and classical Athenian rhetoric through historiography and ancient material culture, including epigraphic and archaeological sources. Papers ranged across the whole geographical and chronological spread of the classical world, with case studies looking at material not just from Greece and Rome but from locations across the Roman empire, including the provinces of Pannonia, Dacia and Egypt. The topics of presentations extended beyond the field of Classics too, and included an overview of the development of modern attitudes towards the military family from the period before the First World War to the present, which opened up the possibilities for rich discussions relating to comparative study and a consideration of where our own area of specialism might sit in relation to other historical periods up to the modern day. We were also treated to two keynote lectures which highlighted elements of the range of possible approaches which scholars might take when looking at this theme. Edith Hall’s talk explored classical reception studies with a discussion of Spike Lee’s 2015 film Chi-Raq and its relationship to Aristophanes’ 411 BCE comic play Lysistrata and the soldiers’ wives portrayed there. For our second keynote Penelope Allison, whose work on Roman archaeology and gender has been instrumental in shaping this field of study in recent years, took us on an illuminating tour of the development of scholarship relating to the presence of women and children inside Roman military bases. One of the great pleasures of studying Classics has always been, for me, its inherent interdisciplinarity; the field offers opportunities to work with a whole range of different kinds of evidence, from diverse geographical areas and across a wide chronological span. Working with a far-reaching theme such as that of this conference, which resonates throughout and beyond the ancient world, allows us to make fresh connections and draw fruitful comparisons between our own work and that of scholars working in other fields. The conversations which began at the event are set to continue; I look forward to seeing how this emerging network based on our shared interests develops in future. The organisers of the conference would like to extend our thanks to the Institute of Classical Studies and the Hellenic Centre for their generous support of the event. 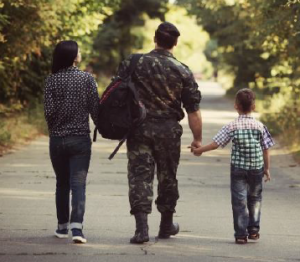 This entry was posted in Conferences and tagged interdisciplinarity, military families, war on November 16, 2016 by Emma Bridges.